– Fresh winter veggies from our greenhouses ready to eat and plant NOW! – Pumpkins of all shapes, sizes and colours are here! – Gorgeous fall décor for your home and Thanksgiving table is here. – Fall Fashion: gorgeous sweaters, dresses, tunics, leggings, and accessories. Also Croc boots and slippers! Going to Fairfield Island Park for your kid’s soccer game? Stop in to our Callicarpa Café on the way for fresh illy coffee and a breakfast sandwich or muffin! Check us out in store for weekend specials. Is the chemistry gone between you and your green space? Let Brian Minter spice up your garden’s glove life during ‘Landscape Speed Dating’! During these free, 15 minute, rapid-fire landscape sessions, Brian will review the photos* that you bring, discuss what you want your garden’s ‘personality’ to be Sessions must be booked in advance, so please call 604.792.6612 to register (only eight spaces are available!). *Please bring as many photos of your existing garden as you can and have questions ready! Save the date for Apple Fest and join us in celebrating this fantastic, healthy, and plentiful fruit! We’re planning a great day for everyone including: An apple care seminar with Brian, fresh fruit juicing by the ‘Mobile Juice Factory’, gourmet apples from Rocky Mountain Chocolate Factory, fresh baked apple specials in our Callicarpa Cafe and plenty of Okanagan apples available for purchase. It’s going to be a great day, rain or shine! 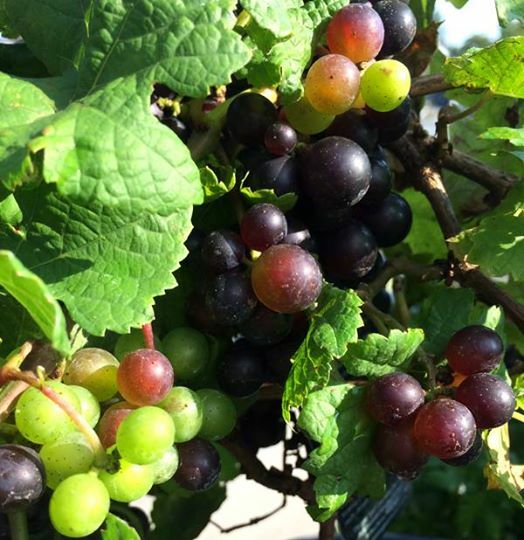 This entry was posted in Weekly Posts and tagged coffee time, events, fall, mums, pixie grape, store specials. Bookmark the permalink.